C.M.E. S.R.L. was founded in 1945 and is based in the heart of the Central Po Valley, a land of widespread culture and a tradition of mechanics and electronics. 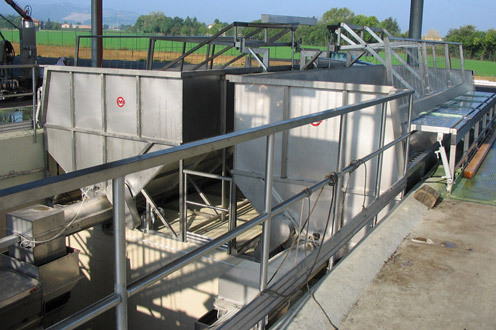 It has consolidated its experience in the field of design and manufacture of plants, machinery and equipment for oenology and alimentary fluids. Attentive to its customers’ needs, C.M.E. has over the years been driving towards innovation resulting from a synergic manufacturer/user relationship. The creativity and know-how of our technicians and engineers and the experience of our collaborators have ensured state-of-the-art, reliable and durable constructive solutions. C.M.E. looks after its customers from design to production to installation and after-sales service through its dynamic organisational and distribution network. C.M.E. is a sound organisation that has grown over the years and is esteemed across Italy and in world major wine-growing regions. Ready for new challenges, C.M.E. today invests in research and development not only in the oenological sector but also in the largescale agro-food sector.